The prominent American sculptor Blair Buswell says that he has “always been fascinated with the human figure“. Through many years of practice and experience he has risen to great renown for his craft. Buswell became especially adept at sculpting athletes in action, and has been commissioned by famous sports figures, including Jack Nicklaus, Oscar Robertson, Doak Walker, and Paul “Bear” Bryant. Since 1983 he has sculpted more than 68 busts of the inductees of the Pro Football Hall of Fame. In 1999 Buswell was honored as the Sport Artist of the Year by the United States Sports Academy; the first sculptor ever to be so honored. He has also specialized in depicting scenes from American history, such as great native American leaders, and the great pioneer migration along the Oregon Trail – including his beloved masterful installments throughout the city of Omaha, Nebraska. Buswell has also sculpted the portraiture of famous actors, such as Charlton Heston, and respected church leaders. But, of all his masterpieces, he says that his most cherished work is his commission of the bust of President Thomas S. Monson of The Church of Jesus Christ of Latter-day Saints. 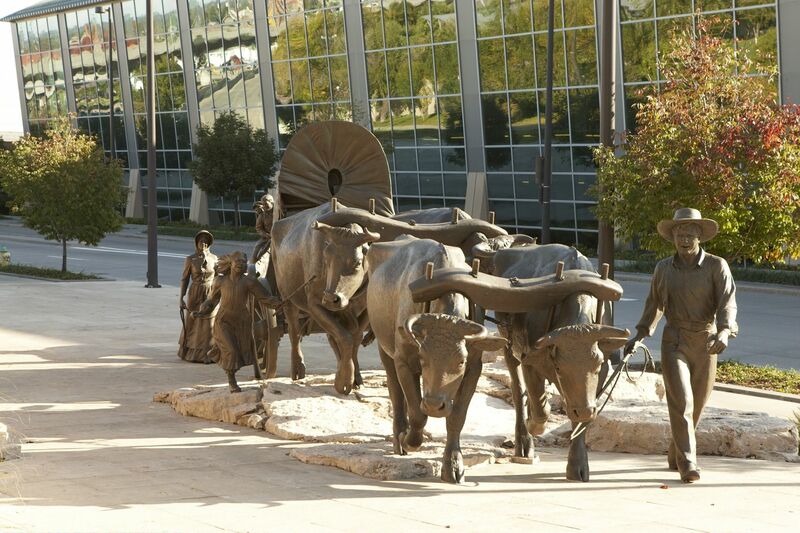 In this video he shares what it was like to work with the Mormon prophet, and what President Monson told him upon completion of the sculpture.